Aero Nav Laboratories is a full service environmental simulation lab which has served the military and industrial communities since 1974. Aero Nav Labs has developed a strong foundation of testing experience and capability and performs a wide variety of tests such as shock, vibration, highly accelerated stress, screening (HASS), highly accelerated life tests (HALT), salt spray, explosion, fire resistance, and more. The tests are conducted in accordance with numerous military, commercial, automotive, transportation, marine, aerospace and medical specifications. The laboratory offers additional services to its customers such as functional and developmental testing as well as engineering technical support. The technical support includes analyses, test program design and review of tests results. Aero Nav Labs is also capable of providing contract work services such as contract manufacturing (small quantities), prototype manufacturing, component assembly, field inspection, test witnessing and verification. Our story goes back to the early 50’s when the company started out under the name Belock Instruments. In 1974, Richard Benanchietti and Floyd Genauer acquired and changed its name to Aero Nav Laboratories to reflect the company’s core business with the military. 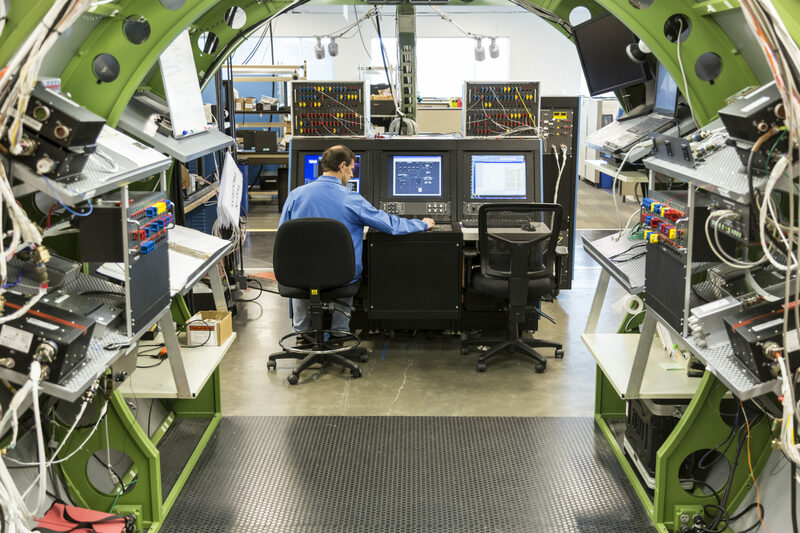 Since inception, Aero Nav Labs focused on delivering unsurpassed customer experiences, and continues to be committed to supplying high quality, reliable testing services to the military as well as to the industry. For over 50 years, our lab was located at College Point, Queens New York. In 2016, we successfully relocated our testing facilities and offices to a more convenient and enhanced location in Deer Park in long Island, New York. To consistently follow our motto: Reliability Through Testing. Dedication to the highest quality of testing and customer support delivered with a sense of trust, individual pride, and company spirit. To strive for the continuous improvement in everything we do.